Myanmar's government should expedite restitution for past illegal confiscations of land, an international human rights group said Tuesday, detailing how previous land seizures there are still harming farmers under the civilian-led government of Aung San Suu Kyi. A 33-page report released by New York-based Human Rights Watch says the negative impact on farmers includes the loss of income, which makes it a struggle to pay for basic needs, such as food, health care and education for children. Land confiscation in Myanmar became a major issue under the previous military government, with estimates of as many 2 million acres (800,000 hectares) or more of land seized from farmers and other civilians without compensation. Farmers who protested the lack of compensation or refused to leave confiscated land often faced criminal prosecution. 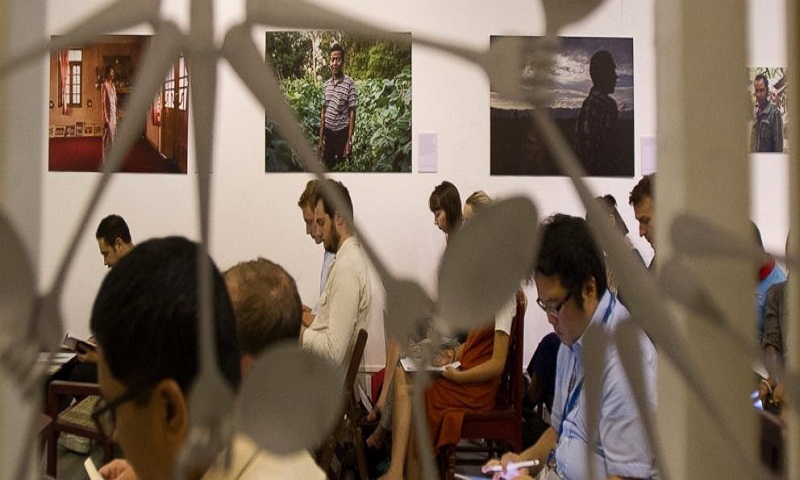 "This is a crisis of accountability, which is a problem with a government which has a culture of doing whatever it wants," Richard Weir, the Myanmar researcher in the Asia Division of Human Rights Watch and author of the report, said at a news conference in Yangon. "This is something that is ongoing and it's a matter of a culture change and the way the government addresses these issues and addresses the people it is responsible to." The previous military-backed government in 2012 established its own commission to investigate the problem, but it was seen as primarily window-dressing ahead of the 2015 general election. Suu Kyi's National League for Democracy "made land issues a central plank in its 2015 election manifesto," said the report. On taking office, Suu Kyi's government instituted numerous legal reforms and initiatives to address land rights issues, including a new committee that the government said would solve all land disputes within six months. Since its formation, tens of thousands of acres (hectares) have been released, but the return of land to farmers and villagers remains complicated, with thousands of filed cases unresolved by the government's commission. Those who stage protests while awaiting resolution are vulnerable to arrest. Neither Government spokesman Zaw Htay nor officials from the Agriculture Minister could be reached for comment.